Saucify is a software developer that was established in 2006 as BetOnSoft, which makes it a relatively new player in the online software development industry. Since its beginnings, Saucify has succeeded in making quite a name for itself. It is privately owned by Genesys with funds coming from a well-respected private equity group located in the United Kingdom. Saucify has company offices in Curacao, the United States, Australia and South Africa. With base operations in eleven different countries around the world, the company forms five separate brands. It was short-listed for four awards at the eGaming Review B2B Awards in 2011. In the following categories: RNG Casino Supplier of the Year, Innovation in RNG Casino Software, Software Rising Star of the Year and Innovation in Slot Provision. The company’s motto is "A new philosophy. A new vision. A singular focus on your success. This is Saucify." With its continual development and innovations, Saucify has certainly been living up to its motto. Saucify delivers online casino gaming systems that you can rely on. They use the latest and cutting-edge professional programs. Their gaming software makes use of integration platforms which are dedicated to various gaming products, including poker, bingo and even sports betting. 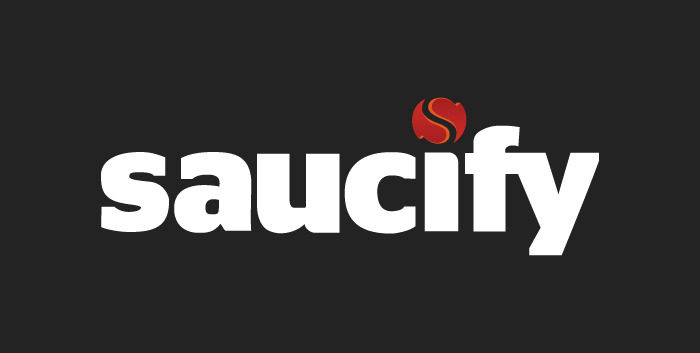 Today, Saucify is the service provider for many operators around the world. Another great thing about Saucify is they also have access to many collaborative networks and can help operators to obtain the necessary funds through their ability to find potential investors. Some of the tools in their repertoire include Flash and HTML5 which means that their service could be accessed on all devices from Mac over PC to Tablet and other mobile devices. The Saucify gaming software includes simple integration into sportsbook, poker and bingo platforms in a fast and reliable manner. Part of the features that most Saucify casinos offer includes a unique selection of online games, customer service support 24 hours a day, multiple methods for depositing and withdrawing, deposit and VIP bonuses, as well as an excellent loyalty program. Each operator is given the possibility to customize their online casino through Saucify in such areas as games, lobbies and back office controls. Moreover, Saucify gives operators the possibility to customize their online casino to suit the needs of their players regarding games, language, banking and regulation specifications. Thus, the operators will have more time to direct their focus on marketing and profitability with the preferences of their players taken into account and the resulting casinos geared specifically towards their player base. The large range of online slots offered by Saucify includes more than 100 unique and exciting games. As mentioned in the text above, all games are available to play from within your browser of choice. Players can select from the number of games, including table games, video poker, video slots, specialty games and progressive jackpots with emphasis on slots, as well as multiple variations of blackjack and roulette. When it comes to Saucify slots games, you can find classic slots, video slots and progressive slots, which means there is plenty of choices for players. Saucify takes its progressive jackpot network very seriously and that is why it is always looking for ways to offer bigger and better progressive jackpots. Video slots and blackjack are also offered in multiple tournaments and players can choose whether to play a demo version or real money version of the game. This gives them an opportunity to decide whether they’d like to practice the game and their strategy without risking the bankroll or to start playing for real-money payouts. All Saucify games offer high-quality graphics and animations along a great variety of bonus features that give players better chances of winning some of the excellent payouts. Saucify, in the days when it was known as BetOnSoft, made history in October 2010 by releasing a total of 13 new games into the market at one time. The company made clear statement that they do not plan to stop there, and their players can expect even more games added to the Saucify games catalogue. One game that really stands out from the rest is Age of Spartans. It is a 16-spin game with five reels and three rows. The game is designed with a hot and cold spin selection along with a hot and cold tab to indicate which reel will rotate first. These tabs are random and as you can see for yourself the reel can spin sideways instead of the standard downwards way of spinning, or right to left. This is a very original and interesting thing, typical for Saucify slots. Due to their professionalism and expertise, combined with an abundance of innovative work and pioneering, Saucify is the partner of choice for many casinos. The list of well-known names in the online industry that have partnered with Saucify includes Casino Grand Bay, Mandarin Palace and Treasure Mile, to name just a few. Whether you are a new or an existing operator, Saucify are determined to assist you in making the most of your venture. In only 100 days, you can get your new casino up and running, operating efficiently and turning a profit. As we mentioned above, the Saucify casino software offers simple integration into existing Poker, Bingo and even Sportsbook platforms, which makes it easy to provide diversified entertainment experience to players. With Saucify’s experience in the online gambling industry and their business model, the cost of your minimum investment which is required to enter the online casino industry is significantly reduced. Saucify is one pretty solid online gaming software with a different set of gaming options to punters from regions that usually don't have an entirely regulated online gambling market. The games on offer are diverse, offering such options as slots, video poker, table games, and other specialty releases. As with many online casinos, the ones that offer Saucify software tend to range from excellent to very poor, with most of them being trustworthy. 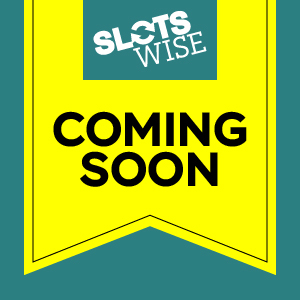 Now that you know all about Saucify, claim your welcome bonus from Slotswise and enjoy your time spinning in the Saucify titles!